What was the last romantic gift you gave? Did it have a diamond? If not, you’re not alone. Diamond gifts as well are falling out of favour with many, particularly younger people. Perhaps it’s because of a suspicion of diamond marketing, and a rejection of the idea that love can be measured in cut, clarity, colour, and carat. Perhaps it’s because of growing awareness of blood diamonds fueling war in countries like Angola, Sierra Leone, and Côte d’Ivoire. But maybe it’s just that diamond jewelry isn’t very useful, and it’s tough to find extra cash to spend on fancy rocks. The last few birthdays and Christmases have yielded vacation getaways, iPhones of every generation, even a smart home thermostat. What hasn’t shown up under the Christmas tree in the last five years? Diamond anything. Gift giving is evolving. Despite thousands of articles that say technology is ruining romance (let me Google “technology + romance” for you if you don’t believe me), a lot of young people in particular are giving technology instead of jewelry. It’s certainly a modern take on romance. As a plus, tech gifts come in a variety of price ranges, and can be selected to suit a person’s needs – which can often be easier to suss out than a person’s preferred jewelry style. 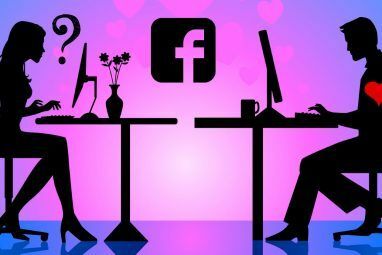 It might take an open mind and some creativity, but you’ll see that technology can be a part of romantic moments themselves – not just romance’s killer. Wondering how some tech items could be romantic? Here’s some examples. A beautiful collection of sculptural objects by Daniel Sher, a design student at Holon Institute of Technology in Israel, uses technology to build closeness between people in long distance relationships. While not available for purchase, how romantic would it be for your lover to see a butterfly sculpture flutter its wings when you blow a kiss to an accompanying flower sculpture? Something like this could even be good inspiration for a romantic DIY tech Valentine’s project 5 DIY Gifts You Should Make for Your Geek This Valentine's Day 5 DIY Gifts You Should Make for Your Geek This Valentine's Day Presents you make yourself are a thousand times more meaningful than some store-bought rubbish. So here are 5 awesomely geeky projects to have a go at - even if you're not so talented at crafting. Read More , if you have the tools, knowledge, and time. 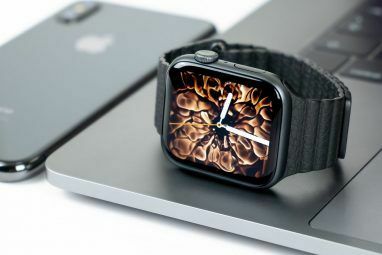 Apple calls it’s Watch “Our most personal device yet.” If you wear an Apple Watch, it’s not just a gadget; it’s part of your outfit, your personal style, and self-expression. Not only are watches already a traditional gift that men and women alike may give their lovers, there are a few little features it has that can make it even more romantic. With two Apple Watches, a couple can draw each other little doodles to send directly to each other’s wrist. They can share heartbeats with one another while apart. I know lots of you may lament that plain-text technologies (SMS messages, emails, etc) have replaced more creative and expressive forms of romance, like sending greeting cards. Those of you who miss sending greeting cards can send realistic greeting cards (or the essence of it) from your phone to your friends with an app called JustWink, available for Android and for iOS. Does it ever seem like you never seem to have USB storage when you need it most? USB sticks aren’t typically very elegant-looking, and they aren’t traditionally romantic, but in a classier package, they might be the perfect gift this Valentine’s Day. You’ll find lovely and practical USB cufflinks and USB pendants available on Amazon too. You do have to be careful to avoid the poor quality pieces out there, but the Amazon reviews are a decent guide to an affordable, classy, useful gift. Technology and romance aren’t coming together for just gifts either. If you’re planning to celebrate an anniversary, or perhaps propose to a special someone this Valentine’s Day, you’ll want to check this out. WeMo, a tech company that makes a variety of Smart Home What Is A Smart Home? What Is A Smart Home? We recently launched a Smart Home category at MakeUseOf, but what is a smart home? Read More appliances, teamed up with design firm Crispin Porter + Bogusky to show you how technology can take romantic moments to the next level. Of course, just because technology can be romantic doesn’t mean it always is. One young computer programmer man proposed to his girlfriend in a heart-shaped ring of 99 iPhone 6s on China’s Singles’ Day. What can I say? Do we need to add an addendum to the adage “Money can’t buy you love” to specify iPhones can’t either? There’s a definite point where people can take it too far. 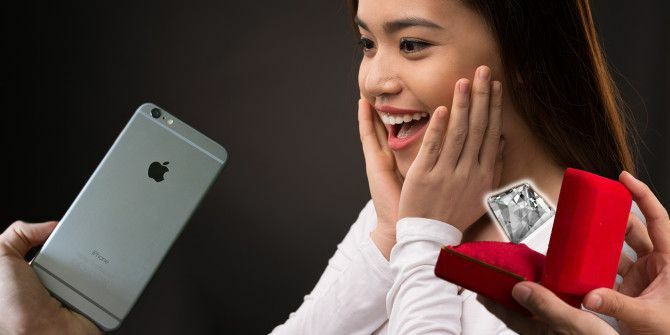 If you like the idea of giving practical technology, but feel nothing says, “I love you” quite the way diamonds do, you could always spring for an ever-so-slightly extravagant diamond-encrusted iPhone. The SuperNova Platinum iPhone Pink Diamond from Falcon Luxury (shown above) can be yours to give, if you have a spare $110 million kicking around. I came across a powerful statement recently: “Love is a verb.” I think that’s part of why technology is becoming a part of so many modern-day romantic gifts. Useful technology involves actions. When the gift-receiver uses the gift, they remember how they got it. Diamond jewelry can just fade away into the background, while it sits quietly on a finger. Personally I’ve come to think maybe the point of diamonds-on-a-ring is that they are useless. They’re a symbol that you have so much disposable wealth that you can spend it on a rock, and it doesn’t bother you in the slightest that it just sits there. Maybe that works well for some people – but for the rest of us, there are better things we can give to show we care. So, ladies and gents, let’s talk diamonds. There are other things I would rather have. But are diamonds an important part of the engagement process, or other occasions for you? What about technology: can gadgets be romantic gifts? How do you draw the line between a “thoughtful technology gift” and a “boring practical gift”? 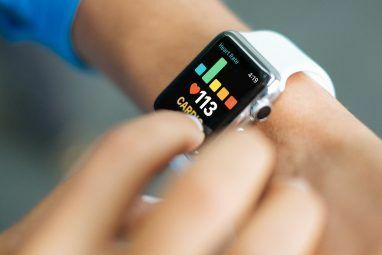 Explore more about: Apple Watch, Web of Romance. Great. Now you got me thinking, what should I give to her? How goes the gift getting? Are you going to go for technology or a more traditional gift? I think I would disagree on this one. Buy a phone or tablet and they stop giving you updates after what, one year? And what's the resale value of a MS Surface RT? But better than both, find a mate who can appreciate investments and the compounding of wealth -- rather than mindless consumption. But nice point on accruing investments.